Wasn’t it a sparkling gorgeous weekend, hope you managed to get outside and enjoy it. We made the most of it by indulging in some serious Deck LIfe. 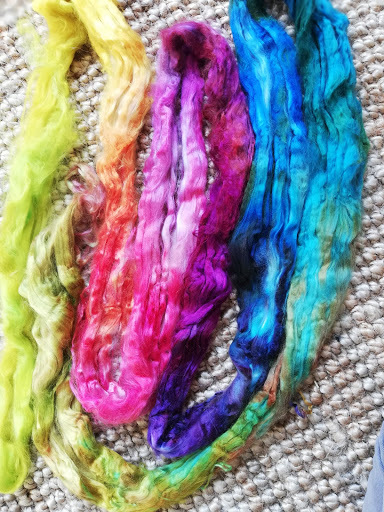 The lovely weather also meant a flurry of fibre dyeing took place with some really pretty results. Not sure what I’ll do with these yet, but I’m really excited to see how they turn out when I spin them. I’m also thinking about carding some of it just to see the different effects I can get. Oh the possibilities are endless aren’t they. I think that’s what I love most about crafting. One piece of roving so many ways to use it. Remember this wonderful vibrant milk protein fibre. Well on it’s own it’s pretty tricky to spin so I carded it on my amazing drum carder. I think I hypnotised myself making these. 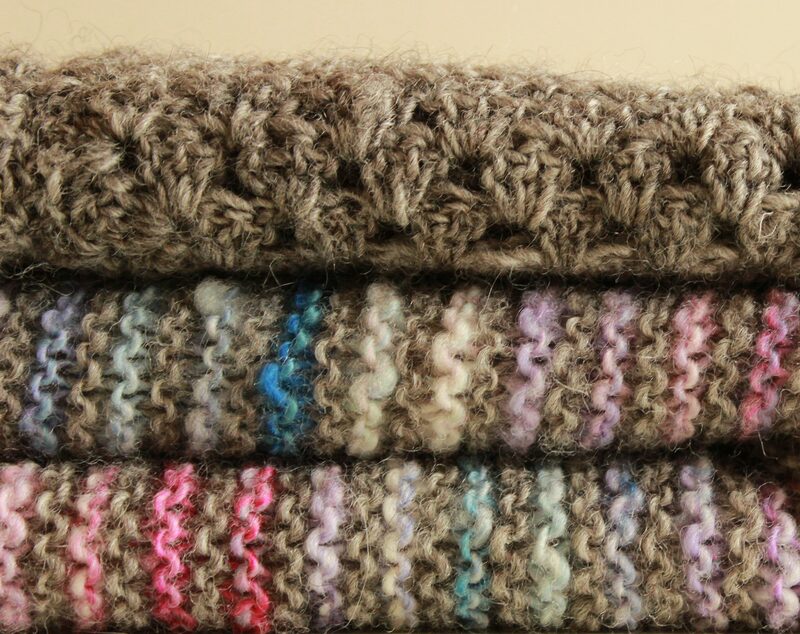 clouds of merino and milk in sweet pastel colours. I love these batts, I love them a lot. Now all this fibre activity has left me with a bit of a problem. I can’t possibly spin/use all this fibre! So I’ve listed them in my Etsy shop and Folksy Shop. Go on pop over and treat yourself to some happy little pastel clouds. Thank you for visiting see you very soon. Previous PostSame Blog new home.Welcome!